Sangre de Cristo Youth Tour – Sangre de Cristo Electric Association, Inc.
Tennis shoes. Check. Bottled water. Check. An eagerness to learn and lead. Check, check. If you’re a high school student looking for the trip of a lifetime, then the Washington D.C. Youth Tour is the trip for you. Imagine a chance to visit our nation’s capital for one week, meet with more than 1,800 students from across the United States and visit with Colorado’s senators and congressional representatives. The best part? It won’t cost you a penny. Colorado’s electric cooperatives share a strong commitment to their communities and the consumers they serve. Sponsoring students for this exciting, educational trip is just one of the ways we invest in our youth. The weeklong Washington D.C. Youth Tour is jam-packed with sightseeing where history comes to life. While touring, students will visit many of the major monuments and memorials, including the Lincoln Memorial, Jefferson Memorial and Washington Monument. Students will also visit Capitol Hill where they will meet with Colorado senators and congressmen. Many past participants were so inspired by this experience that they later served as interns on the Hill, and many pursued a career in politics. But Youth Tour is so much more than sightseeing. Students spend every waking minute together for a solid week and it’s not uncommon for lasting friendships to form. In fact, many of Colorado’s past participants ended up being college roommates, professional colleagues and lifelong friends. Youth Tour inspires many students to discover who they want to be. Sangre de Cristo Electric Association, Inc., 2018 Youth Tour representatives gather for a group photo on the Colorado State Capitol steps last June prior to their departure for Washington, D.C. The 2019 Washington D.C. Youth Tour will take place June 13-20. 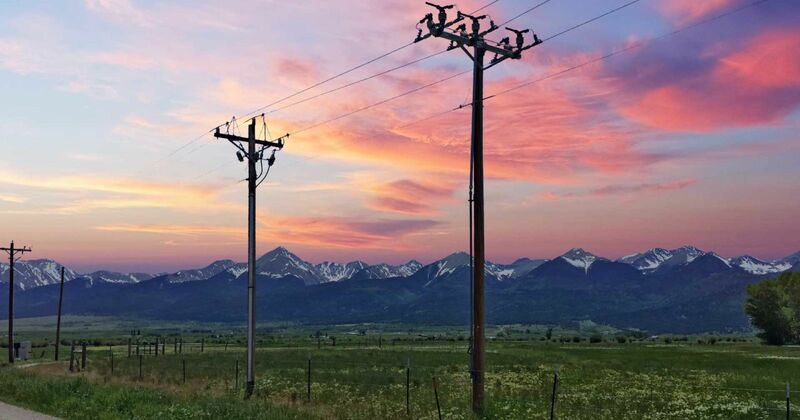 Colorado’s electric cooperatives are currently accepting applications and finalizing their selection process. 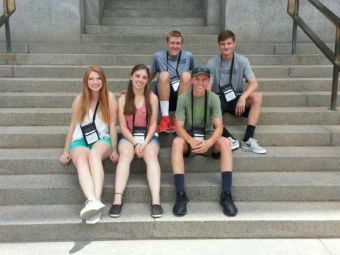 In addition to Colorado, more than 40 states also send students to D.C. for Youth Tour. On Monday, June 17, more than 1,800 students will gather for Youth Day and listen to inspiring guest speakers, including Mike Schlappi. Schlappi, an Olympic Gold Medalist, will share his emotional story and challenge students to take responsibility and be empowered throughout life’s challenges. Abby Berry writes on consumer and cooperative affairs for the National Rural Electric Cooperative Association, the Arlington, Virginia-based service arm of the nation’s 900-plus consumer-owned, not-for-profit electric cooperatives. Open to current sophomores, juniors and seniors whose parent or guardian receives electric service from Sangre de Cristo Electric Association, Inc. Deadline for application to be received: 4 p.m. Thursday, January 10. Application and instructions on SDCEA’s website: myelectric.coop, click the Youth Tour icon.